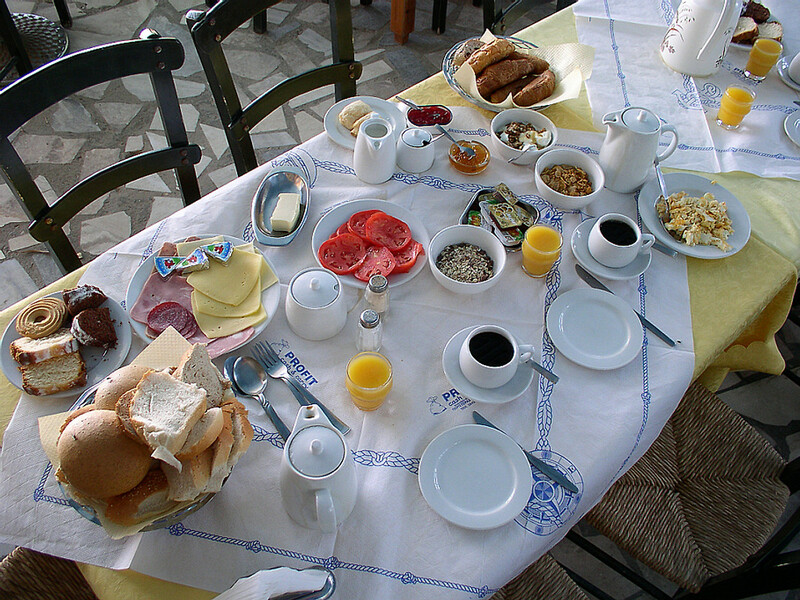 This could be your breakfast ! 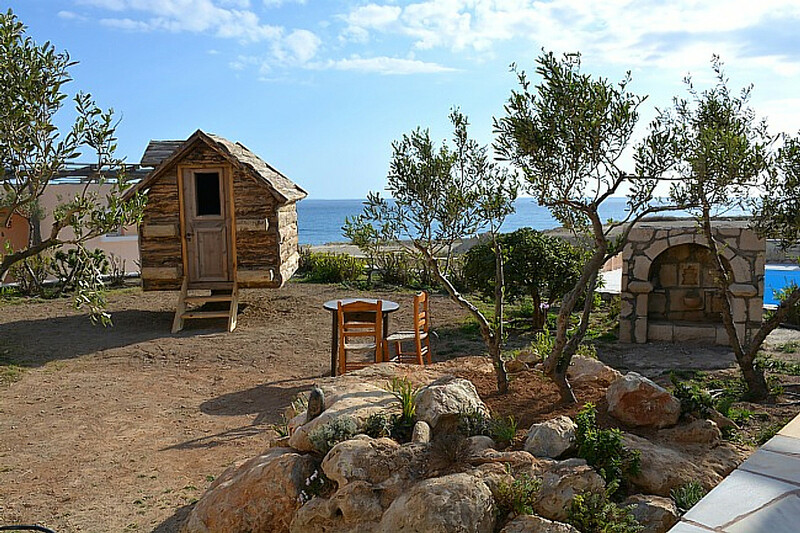 The "Oasis at the sea" is located in the southeast of the island of Crete. There is no mass tourism. You can enjoy calm holidays! 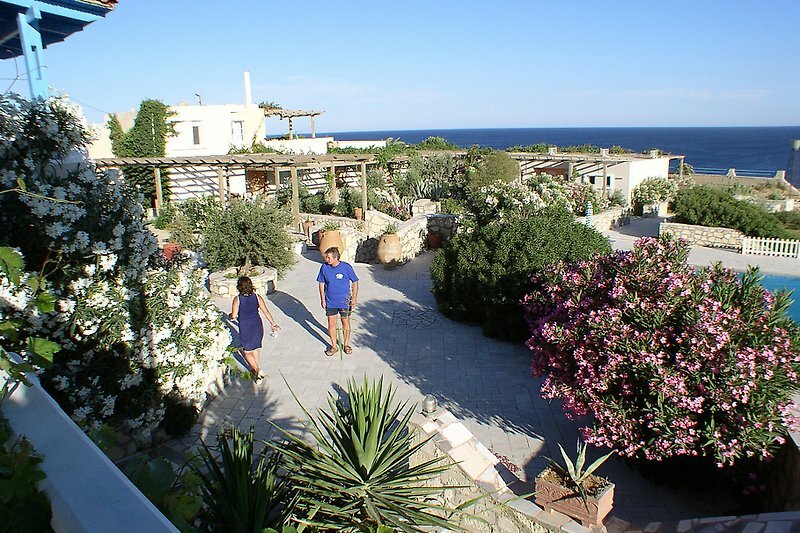 A spacious garden with 8,000 m2. 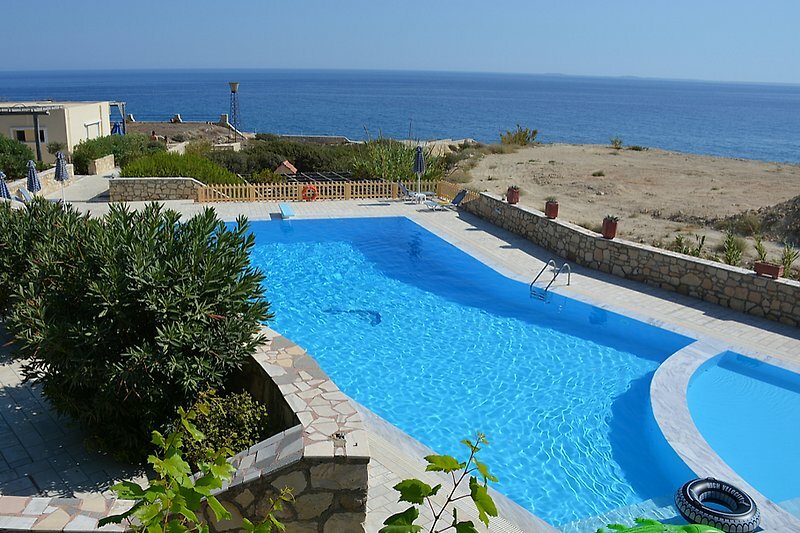 There are studios for 2-3 persons, apartments for 4 persons and maisonettes for 4 (max 5) persons. Most terraces are creeping wine by half in shade. All terraces have a table and chairs and you can enjoy the sea view. Internet WiFi available. SAT-TV in all apartments. 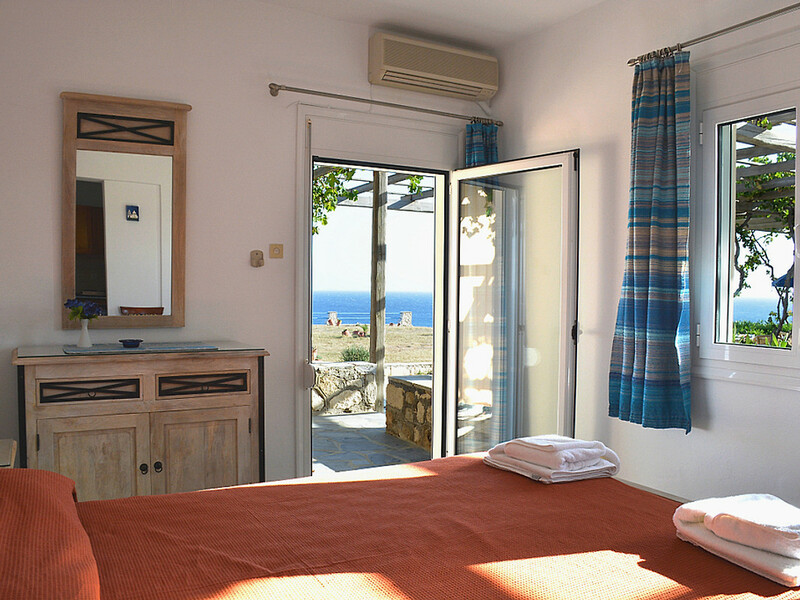 From the apartment's Tavern (only for apartment guests) and from the swimming pool you look to the sea. The swimming pool has about 400000 liters of water, it is larger than many hotel pools! 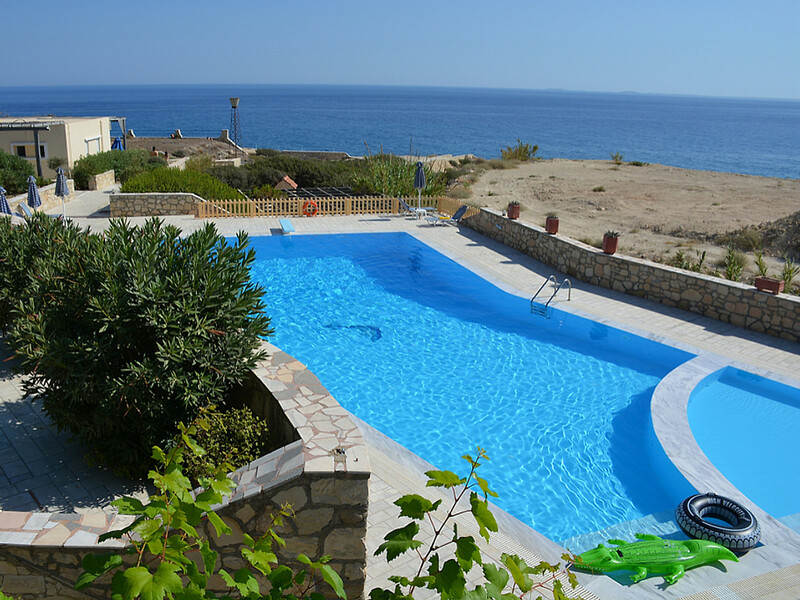 A children's pool is also included. Around the pool are tables, chairs, sun beds and parasols. They are free of charge. Down to the beach is only aprox. 20 meters wide to the steps. The difference in height is 20 meters. Due to the elevated position from anywhere you have a fantastic sea view! In all studios, apartments and maisonettes you can cook yourself. It is everything for cooking there. Breakfast and dinner can also be booked on request. You can take it in the tavern or you get it served in the apartments. There is parking place where you can park your car for safty. Pets are accepted on request. Please ask for it. Very detailed information and more pictures will be sent to by email. 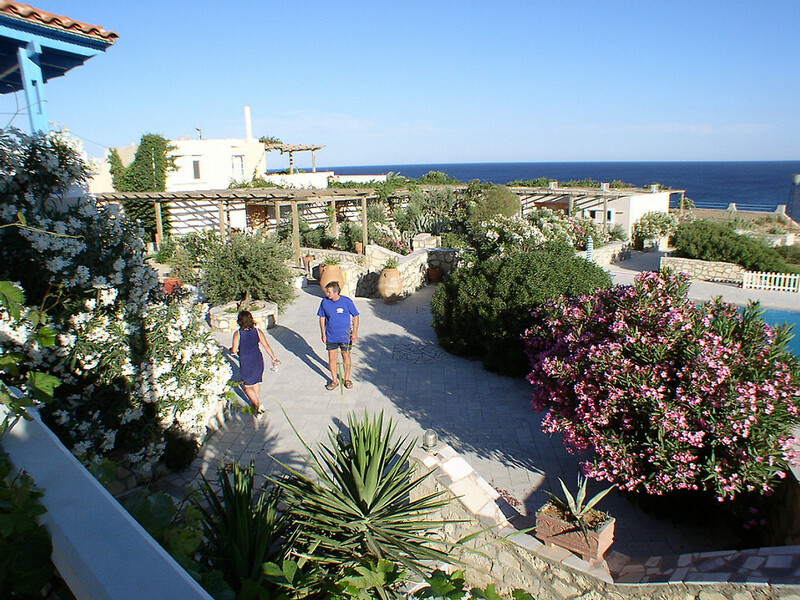 The small, family-run complex is 3 km from Ierapetra and quiet. 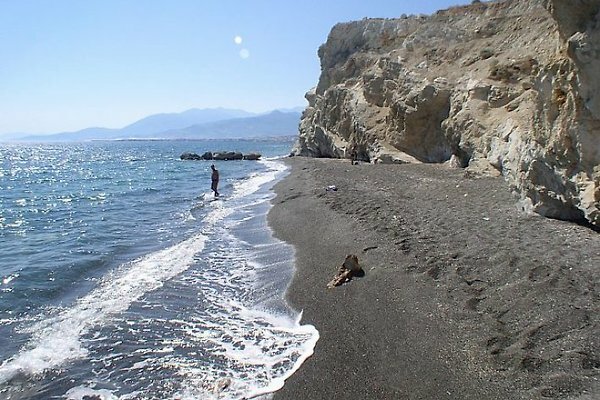 Ierapetra is the southernmost city on the island of Crete and is located south as the north of Africa. Therefore, there are summer and winter, a pleasant climate! Ierapetra is a small town with not too much tourism - not even in the summer. We would inscribedable it more as "away from mass tourism." Prices are for a studio with 2 people. 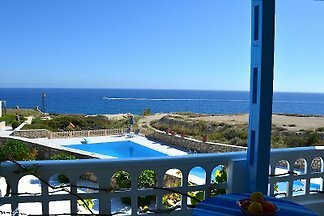 Apartment or Maisonette from 54, - € per night for 4 to 5 people. All apartments have a sea view !!! Breakfast and dinner possible. You can also book directly with half or full board. 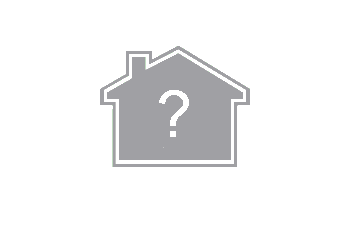 We will send a detailed description by email. One of our Apartments is available with a wheelchair. Please ask for details. More information, photos and the complete price list will be sent to you via email. The prices on this page are for the studios for 2 people.